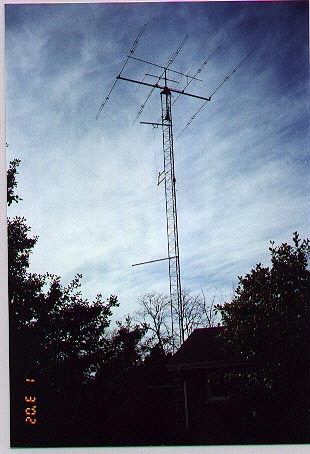 Subject: The 80-meter antenna WORKS !!! Hi Lou,Tried your 1/4 vertical for 80mtrs. I was using a sloper before. It was long enough, I used it for the horizontal leg. 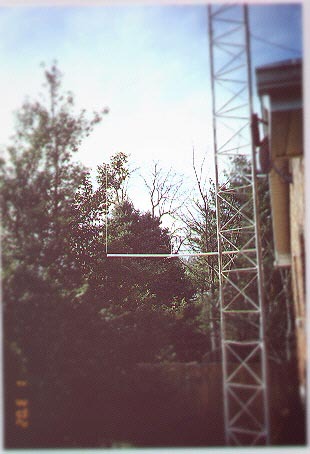 My tower is about 54' tall. Mounted the crossarm just below the rotator so the vertical element makes one trip down and one up. I wasn't sure how well it was working, a bit hard to find much DX during the week. 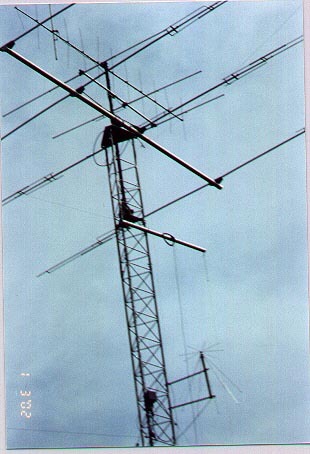 This past weekend I did an 80mtr only entry in ARRLCW DX contest. Only operated a few hours. Made 101 QSOs in 48 countries, so I guess it works well. Can't wait to try it in SS because all stateside stations really pound in with it. One question: I made my 1::1 Balun from RG-58U as per the Handbook. However, the Handbook had no specs for a 160mtr balun. I'm planning on making a 160mtr version. What are the specs for a balun for this band?